This is a neat little trick for those spy wannabes, or those of you who are paranoid wanting a secret user account on your system. Okay it may not be a totally secret account, as the user folder will be visible after login anyways… Jokes aside, if you have a public available computer, you may want to make sure users log on, using the proper account(s). This can be achieved with a little tweak of the registry. The hidden accounts are of course available for log in, when you know where to look. Under Winlogon, look for a key named: SpecialAccounts If it’s not there create a New key (in the left pane) with that name. If The SpecialAccounts Key is present, inside there will be another key named: UserList (if not create it). If the UserList Key is present you may find several usernames listed, if the username you want to hide is there, skip to step 6. 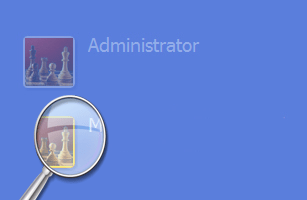 In the Right Pane, create a new DWORD value, and use the account name that you want to hide. The next time you log on, the account will be hidden. To access the hidden accounts, press CTRL+ALT+DELETE at the welcome screen to open the “Log on to Windows” dialog box. This tweak works as you say but I am not able to use Ctrl-Alt-Del from the Welcome screen when I do a “Switch User”.